The time has come again for us to congregate in celebration of our dear old Camp Ma-Ka-Ja-Wan! Sign up for the Winter Dinner and join us for food, fellowship, and an exciting update on the current Ma-Ka-Ja-Wan happenings. 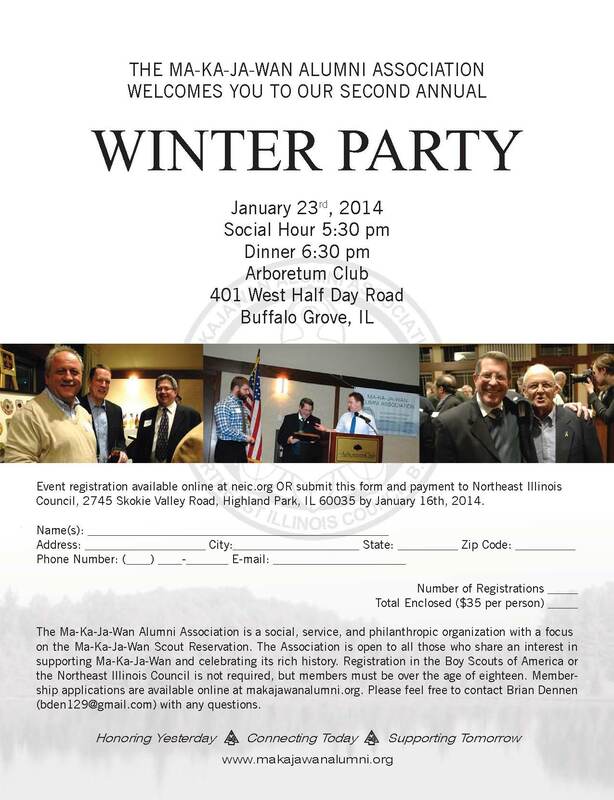 The dinner will be on Thursday, January 23rd at the Arboretum Club at 6:30 pm, with a social hour beginning at 5:30 pm. We hope to see you there! This entry was posted in Uncategorized by Cory Hinz. Bookmark the permalink.